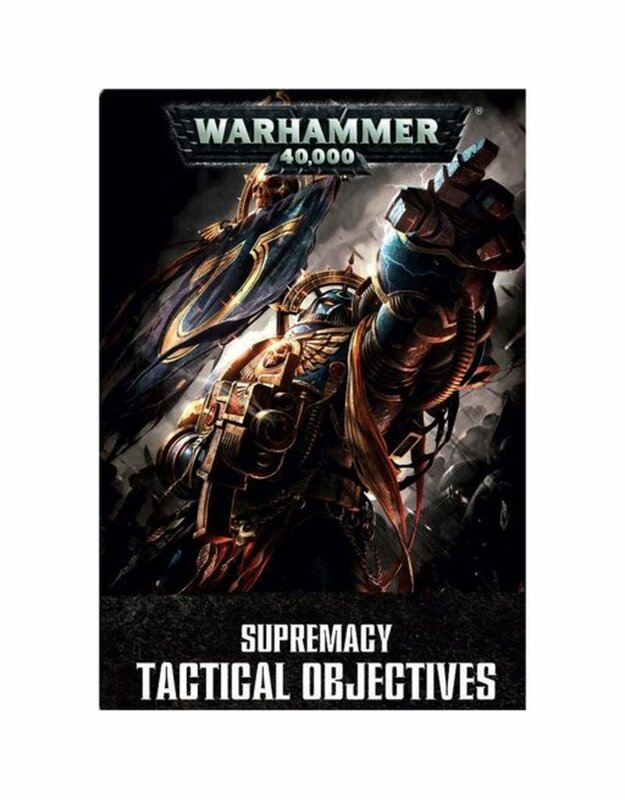 A set of thirty-six Tactical Objectives usable by any army in games of Warhammer 40,000. Larger than standard Tactical Objective cards – the same size as psychic power cards – they are to be used in place of the standard Tactical Objectives deck. Supremacy Tactical Objectives are harder to achieve, but are worth more victory points – they’re a playoff between risk and reward.